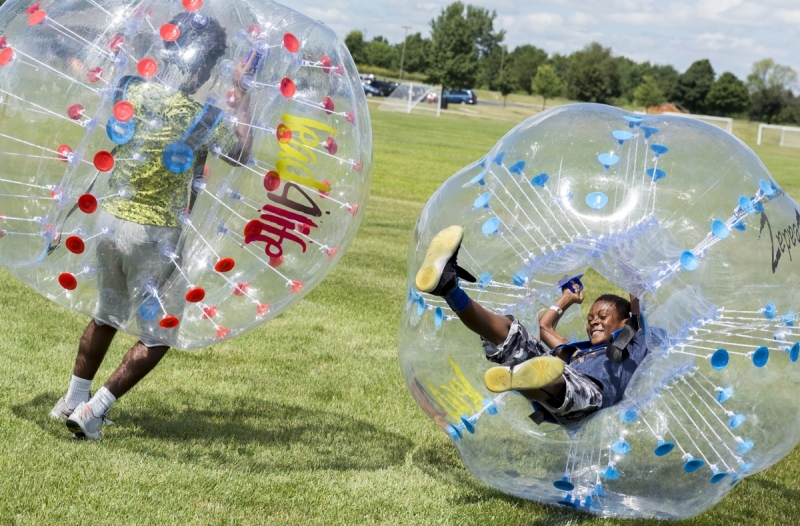 REGISTER NOW FOR LEAD4LIFE'S BUBBLE SUMO SINGLE ELIMINATION TOURNAMENT! Sign Up Now To Play In The Bubble Sumo Tournament! A One on One Competitive BASHING Where You Try Your Best To Knock Your Opponent Outside The Center Circle Using Our Oversizes Bubble Balls! The First 24 Players To Sign Up Are In! Sign Up Now!!! *Must Be At Least 60" Tall To Participate"
All Participants MUST have a Signed Waiver In Order To Participate!